Just curious if anyone has seen these before, it would be a rare bird. 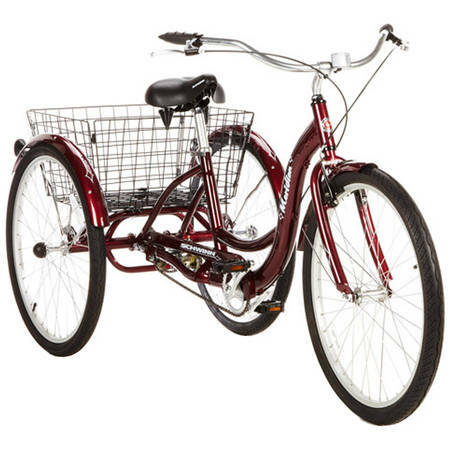 I'm looking for a trike where the mount for the rear disk brake is mid-axle between the two rear wheels. What are the technical or marketing reasons these aren’t these more common? Check out the Atomic Zombie plans for "deltawolf" These are do-it-yourself plans, they don't sell completed bikes. There's nothing to stop you putting the caliper mount further out for a 180 or 203mm rotor. You could also set up the same on the left-hand axle. Note this design is a single driven wheel rather than a solid axle or a differential. 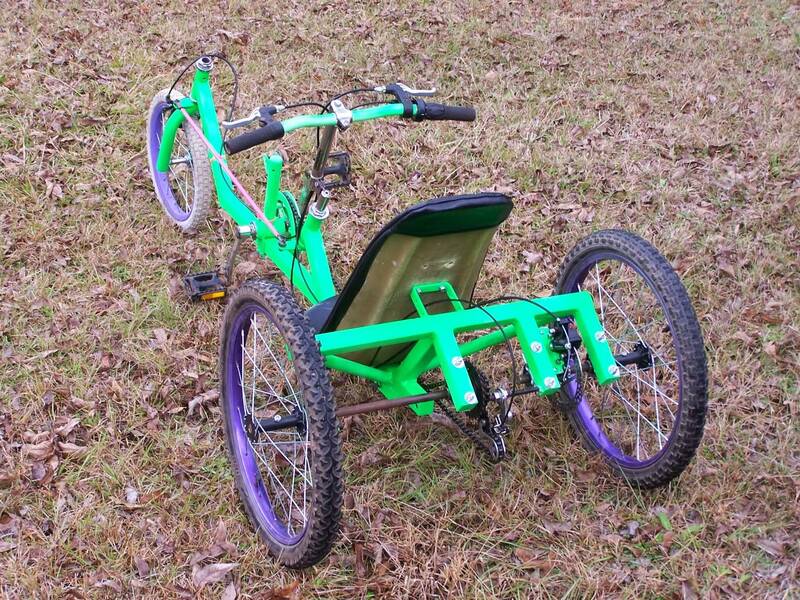 The normal delta style trike has one wheel in front and two wheels in back. The inexpensive “adult trikes” have an upright seating position much like a Dutch bike. Most of these adult trikes don’t have a rear differential and only one rear wheel is driven. So when you pedal, the bike tends to want to veer in one direction or another. You quickly get used to this as a rider. 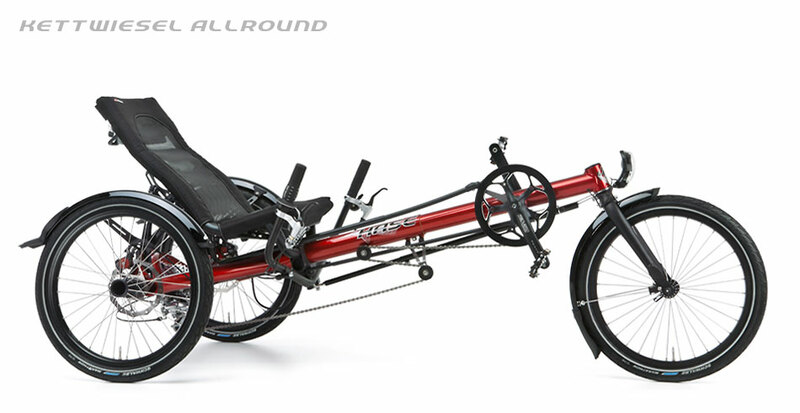 To make things cheaper for the manufacturer (and because many of these trikes have one-sided wheelchair style rear hubs/axles) they also have a simple band brake on the driven axle or coaster brake. So braking makes the bike veer in the opposite direction than pedaling it does. You’re never going that fast on these so it’s not that critical. With just one braking wheel in back, you actually want a relatively crappy brake such as a band brake because if you lock one of the rear wheels by braking too hard you could easily have the bike whip out of control. So if you want effective brakes, you need them on both rear wheels. So it would be great to have disk brakes on both rear wheels on adult trikes but it’d take mounting brake bosses to the frame near both wheels. The left wheel would also need a disk brake that is designed to go on the opposite side it normally expects to be. Things get expensive. In any case, it’s a lot of extra work and not worth it for most adult trikes which are designed to a price point. Not the answer you're looking for? Browse other questions tagged brakes tricycle or ask your own question.